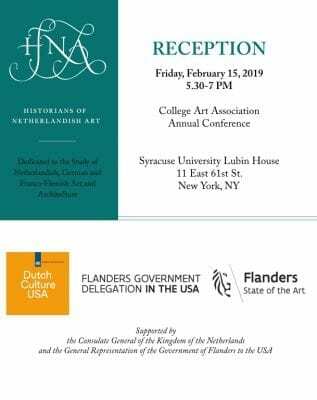 Please join us for the following events during the 107th College Art Association Annual Conference, New York, NY, Feb. 13-16, 2019. For the full conference schedule, please visit the College Art Association website. All members and prospective members are invited to attend the HNA reception. (Conference registration is not necessary.) Please RSVP to Amy Golahny, Golahny@Lycoming.edu. 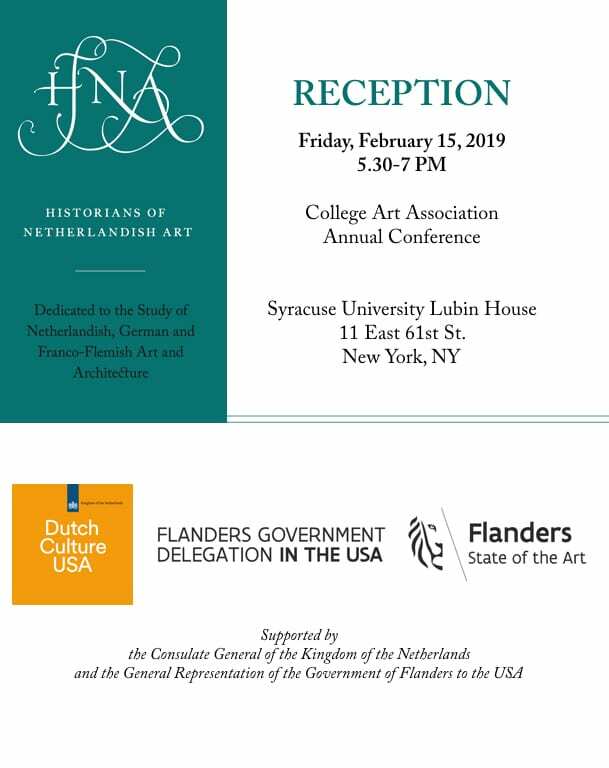 We are grateful for the generous support of this event granted by Consolate General of the Kingdom of the Netherlands and the General Representation of the Government of Flanders to the USA.